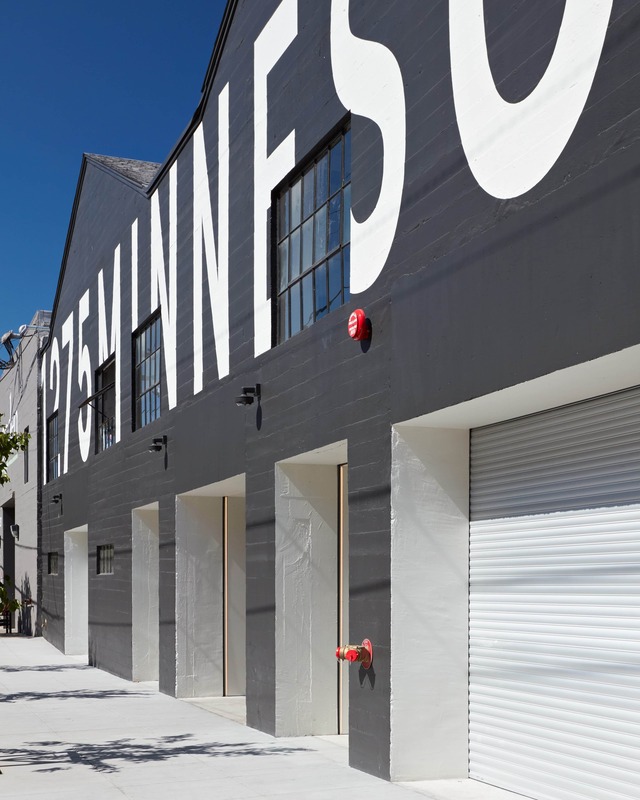 When San Francisco’s booming rental market encroached on the needs of the arts community, Jensen revamped three warehouse buildings to provide stable studio and commercial space for the city’s artists and galleries. 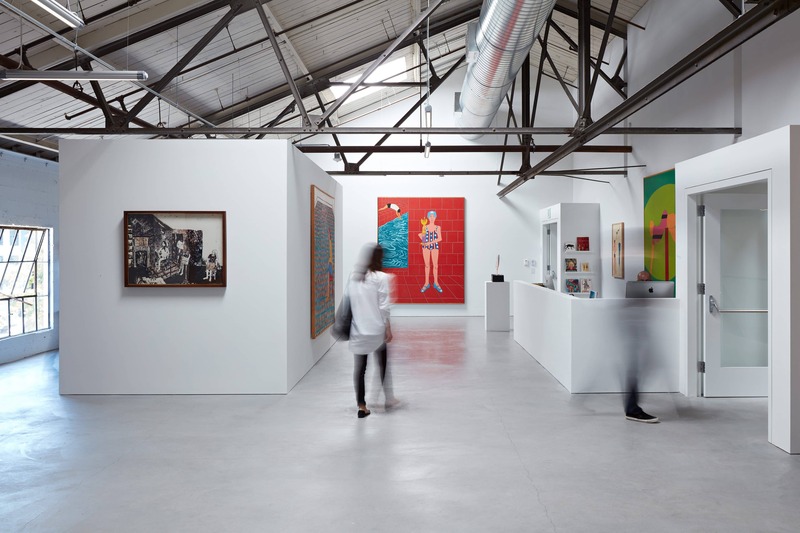 Within the historically industrial and rapidly developing Dogpatch neighborhood of San Francisco, Jensen Architects transformed a trio of warehouses into an expansive haven of art galleries, artists’ studios, and art services space. 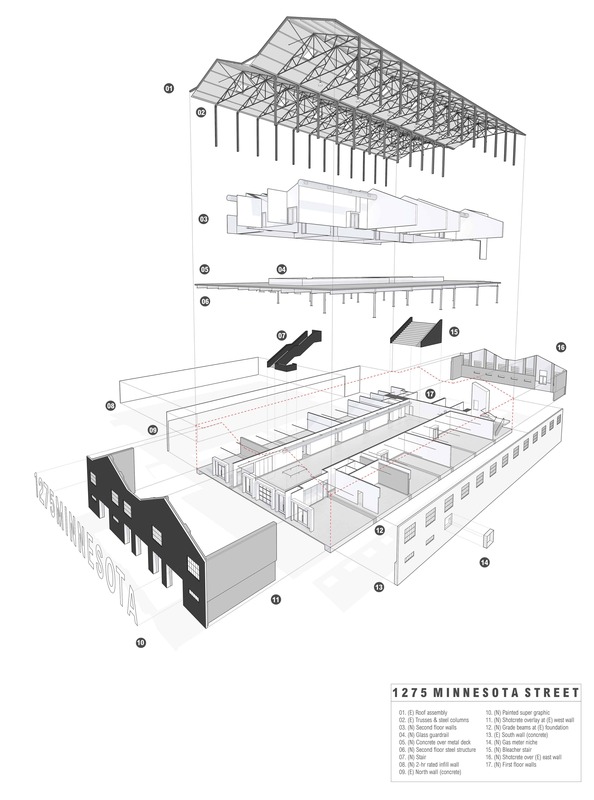 Working closely with the clients and their philanthropic mission to provide a stable home for an arts community being displaced by the escalating property costs, Jensen embraced the industrial vernacular to deliver a flexible platform for Minnesota Street Project’s pioneering program. 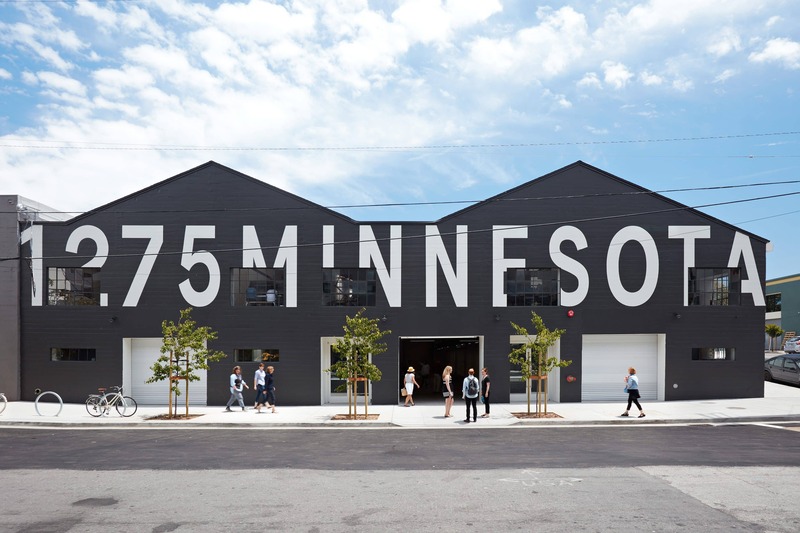 1275 Minnesota Street, the public heart of Minnesota Street Project, is a building tailored to the needs of galleries and the neighborhood. 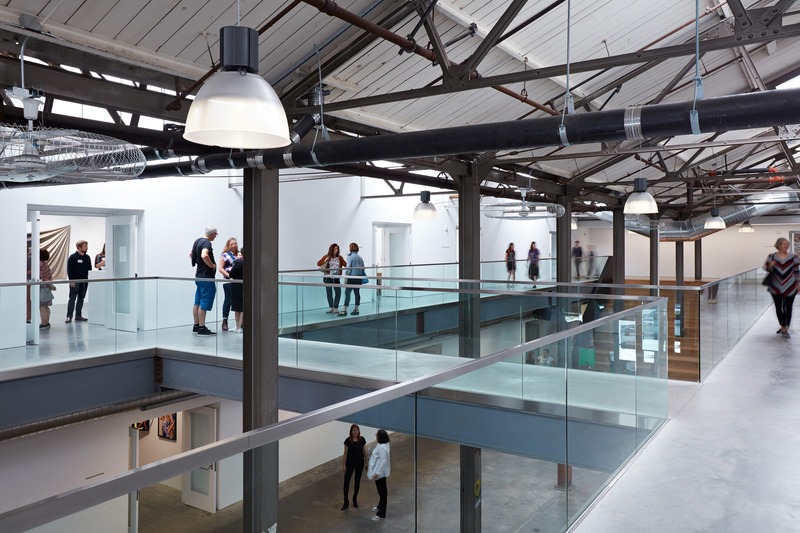 Jensen consolidated back-of-house functions into shared shipping, catering facilities, and restrooms, so the galleries could operate with less space, lowering rents. 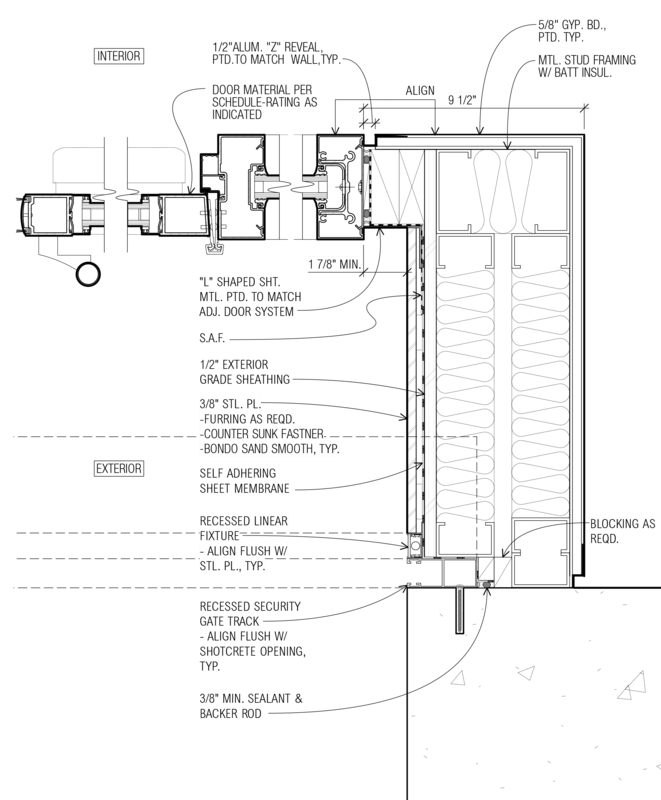 A grand central atrium fitted with bleacher stair seating, is a flexible host for a busy calendar of public programs, from intimate lectures to major art fairs. On the evenings when galleries are closed, a street front restaurant keeps the block lively. 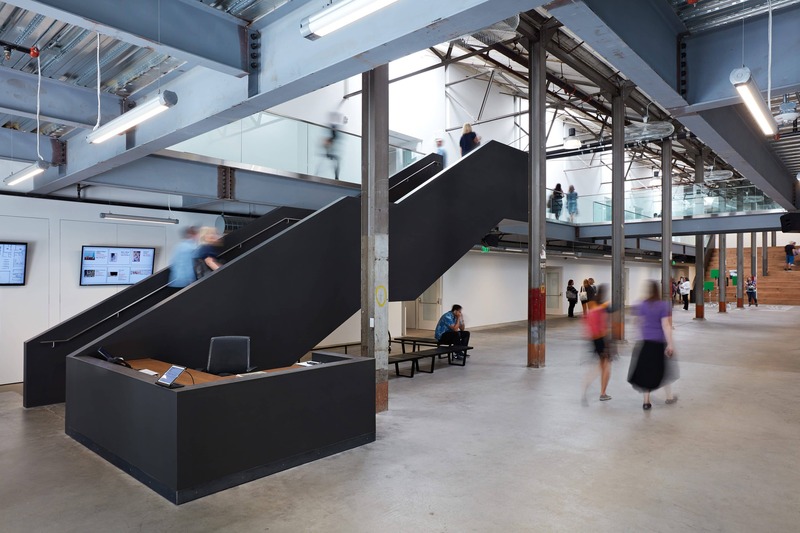 Original architectural features of the existing building—including wood plank ceilings held up by delicate steel trusses and exposed steel columns—became central design elements, standing as artifacts of past use, marked up, rubbed raw, and laid bare. 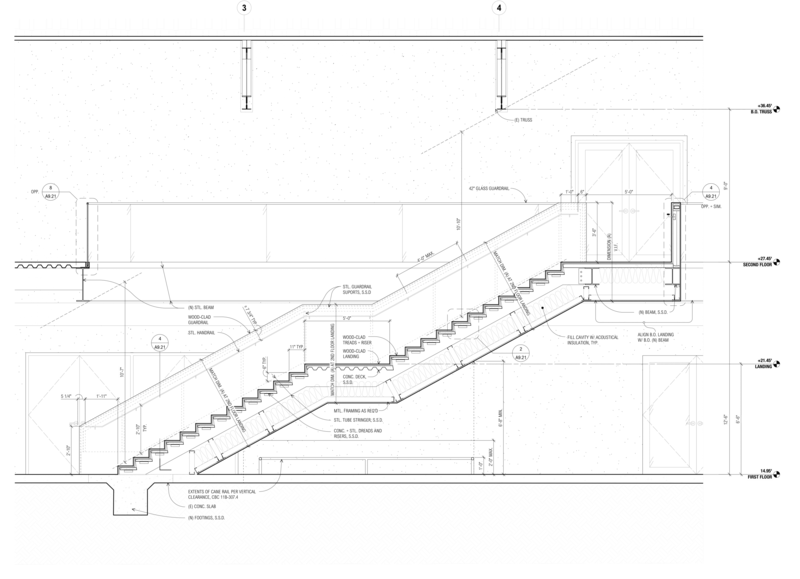 New design elements such as the exposed metal mezzanine deck and the sculpted reception stair, provide a clean contrast. 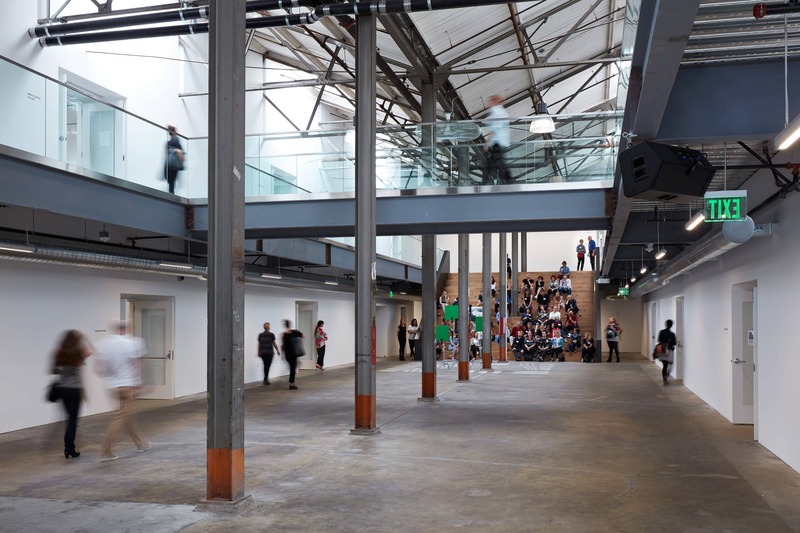 This project took great advantage of zoning in San Francisco that allows for non-traditional use of buildings originally intended for production, distribution, or repair, without the need for rezoning. 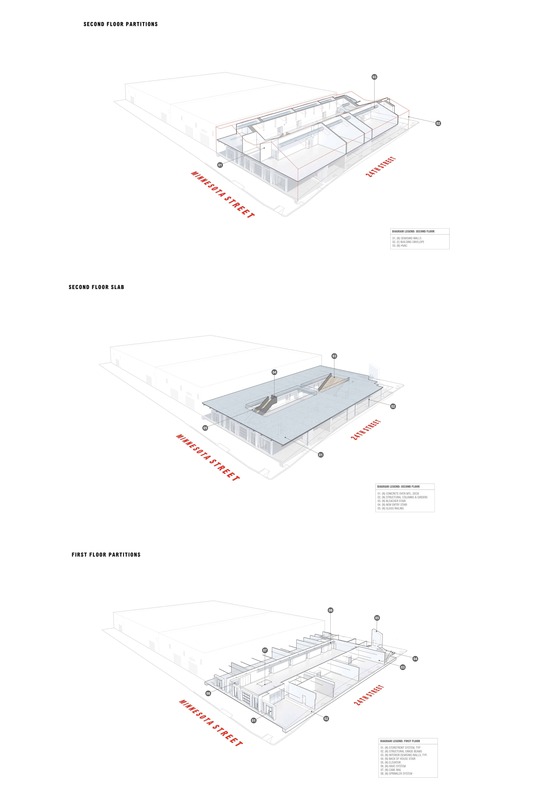 This allows for diversification of building use while maintaining the quality and character of the traditional neighborhood fabric. 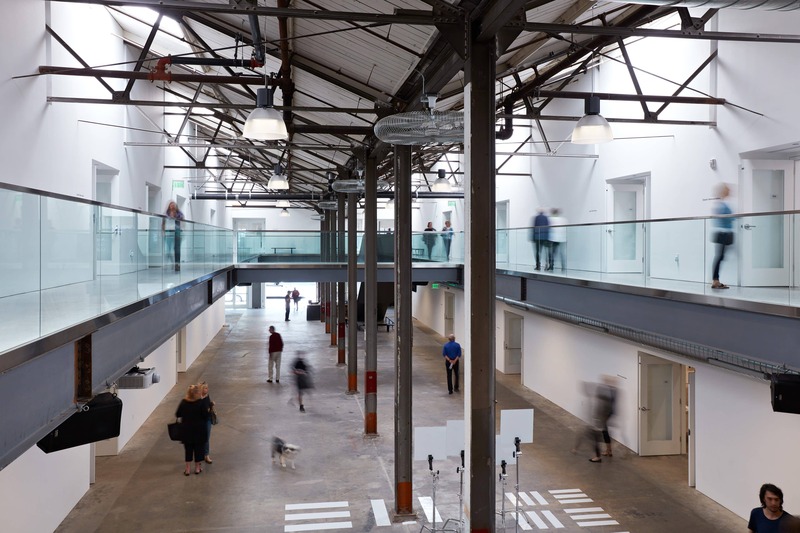 Through close partnership with consultants regarding the planning process, the project was fully operational within the tight schedule required by the client.